Check your Cisgender Privilege and watch the closing doors, the New York subway and bus systems are now adopting gender neutral language in all their announcements to passengers, according to sources within the Metropolitan Transit Authority. 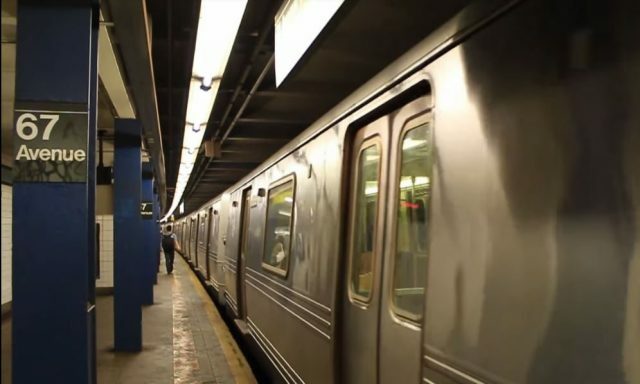 Recorded subway announcements that currently use the horribly offensive “ladies and gentlemen” will now be overridden by a live announcement from the train conductor utilizing the politically correct terms until new recordings can be installed. Of course, for most subway riders not listening so keenly so they can find any possible opportunity to be offended, the announcements will still sound the same… that is, completely and totally unintelligible. The announcement also includes a veiled threat to transit workers alerting them that supervisors would be “monitoring” announcements to ensure the gender neutral terms are used, lest any non-cisgender rider (or New York Times columnist) is offended beyond the ability to function. Considering recent reports that show that nearly three-quarters of New York Subway lines run chronically behind schedule and the tunnels are infested with rats that can move and devour a large slice of Famous Ray’s pizza, you’d think the use of gender neutral announcements might fall a little lower on the list of priorities for MTA. But you, sir, er… madam.. er…. human… er… being.. you’d be wrong.